gel stain remover. 5 litre. completely kills and removes stubborn mould and mildew with just one spray. built in detergent additives reomve soap residue to leave tiles and grout gleaming clean. penetrate porous surfaces to kill mould spores and inhibit regrowth. disinfects and guards against tinea and paploma infection. deoderises as it cleans leaving a pleasant frangrance after use. 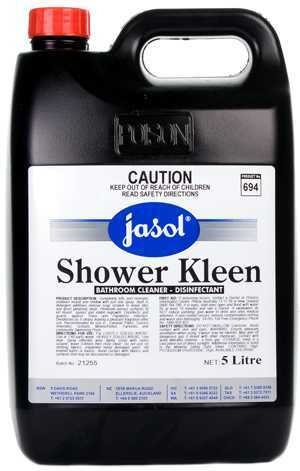 reccomended for use in caravan parks, council amenities, schools, motel/hotels, factories and community swimming pools. type: liquid application: concentrated cleaner & degreaser for tiles & glass benefit: highly active, excellent soil removal removes body fats soap scum and mould from shower recesses. kosher approval. halal approval.